Call center reporting is a tool that allows contact centers to record and review customer interactions. Different call center reporting mechanisms offer different features and benefits. For some, only a bare minimum of call evaluation is included. For others, there is a suite of services including call data and statistics, associate evaluation, customer satisfaction surveys and metrics, and more. 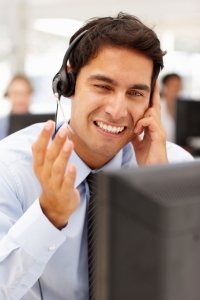 Call center reporting can be utilized by both inbound and outbound call centers. It offers a centralized manner of handling contact center quality assurance. For many businesses, call center reporting is handled via a contracted software system or a cloud based service. While some businesses think call center reporting is only for very large operations, the truth is that contact centers of any size can benefit. The features of a call center reporting tool can be customized to the type of business that is utilizing it. How is call center reporting implemented? Call Center Reporting is implemented, usually by a third party firm. Depending on the size of the organization, the volume of calls, and the desired outcome of insights and metrics, the service will help select or design an appropriate system. There is a benefit to working with a call center reporting partner that offers flexible or customizable solutions for call center management. With most software based systems, implementation is fairly easy and requires only simple and straightforward training. In many cases, the actual monitoring of the calls is conducted by a third party off site. If your organization is interested in implementing call center reporting features in a customer contact center, contact the experts at Evaluate Quality to learn more their sophisticated call center solutions. Whether you are in the Phoenix or Scottsdale AZ area or anywhere in the United States, the experienced team at Evaluate Quality can help create a unique software service customized for your specific needs. Evaluate Quality, founded by Sage Advantage is headquartered in the Scottsdale/Phoenix area and has assisted many businesses large and small throughout the US design and implement optimal call center reporting programs. With Evaluate Quality, you can have access to detailed insights and enhanced call reporting with minimal effort or management. Contact Evaluate Quality now for a demonstration of their call center reporting features and programs.